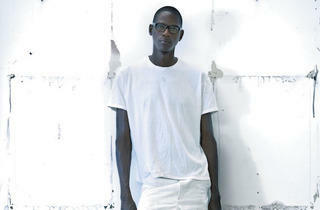 Mark Bradford’s South Central Los Angeles studio was once his mother’s hair salon, and working there as a stylist had lasting effects on his practice. The artist included perm endpapers in early works—and when I called to ask him about his new Museum of Contemporary Art retrospective, Bradford told me he knew he was creative long before he attended CalArts at the age of 30. 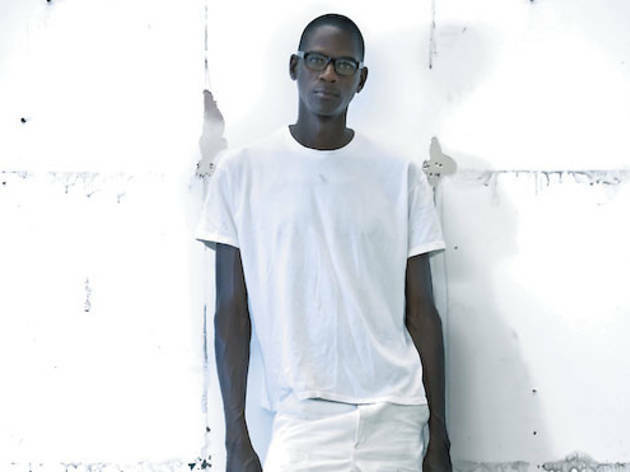 Many pieces in “Mark Bradford,” which was curated by the Wexner Center for the Arts in Columbus, Ohio, are made out of cheap paper advertisements that the artist salvaged from his neighborhood, Leimert Park. Though his materials are changing yet again, Bradford’s interests in black history, pop culture, class differences and sexuality remain constant. Before your artists’ talks at the MCA, you spoke at Trinity United Church of Christ on the South Side. Why discuss your work at a church? One of your most famous pieces is Mithra, the arklike sculpture you built in the Lower Ninth Ward for New Orleans’s Prospect Biennial. What do you do when you collaborate with a community where people might not be receptive to your work? When you go into someone’s house, you just have to be respectful of their rules. When I go into a context that’s unfamiliar, I do more listening. I do more observing. I don’t try to colonize [by] putting down an artwork and leaving. Oftentimes, the work changes because I negotiate with policies and social conditions I didn’t think of and may not agree with. It’s much more interesting when people feel like they own part of [the artwork], that they’re in a dialogue, not just being talked down to. You’ve said that it’s getting tougher to find signs in L.A. How’s that changing your work? I feel like I’m an animal that’s living in the rain forest, and the rain forest is being chopped down. [But] people forget that urban settings are always changing. I’m beginning to print up my own paper. It does change my practice, but it’ll be just as interesting.